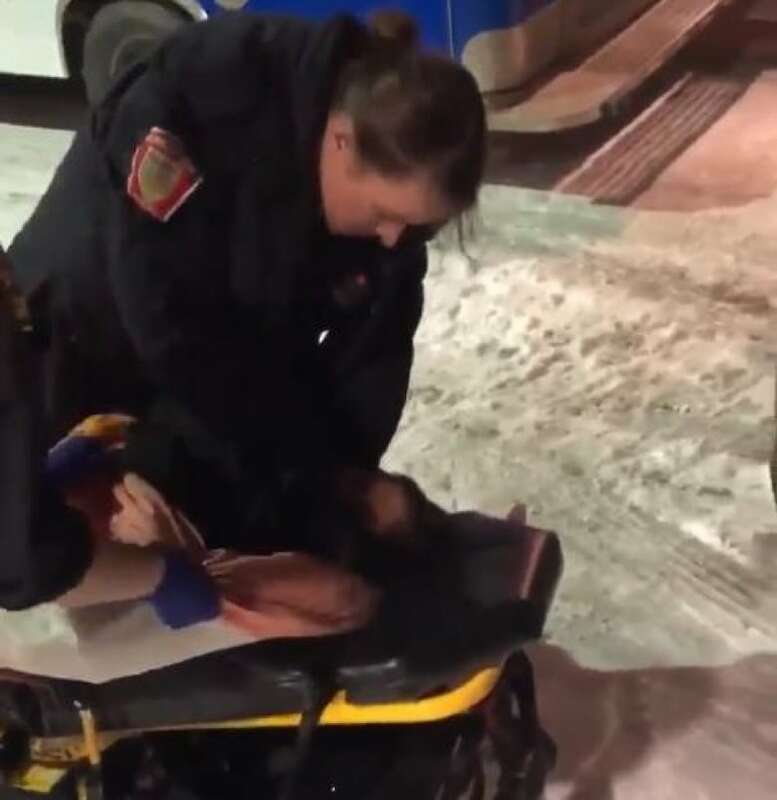 A deputy grand chief with the Nishnawbe Aski Nation says the incident captured on video that appears to show a Thunder Bay police officer striking an Indigenous teen on a stretcher is "troubling" and "disturbing," as the territorial organization continues to seek answers about what happened. A seven second video clip showing part of the altercation was uploaded to Facebook Saturday night; a longer version, which runs 21 seconds, was then posted Sunday. "My initial reaction was, I thought of that as one of my own children ... and how would I react?" Derek Fox told CBC News of what ran through his mind when he saw the longer video on Sunday. "Second of all, is what was happening in that video outside of the 20 seconds?" Nishnawbe Aski Nation (NAN) represents 49 First Nations across northern Ontario, including Nibinamik, where the 17-year-old girl is from. NAN said she has been in Thunder Bay studying at the Matawa Learning Centre. Thunder Bay police said Sunday morning that they're aware of the video and already started looking into the matter. Fox said on Monday that NAN Grand Chief Alvin Fiddler has spoken with Thunder Bay Police Chief Sylvie Hauth about the incident. In a statement on Sunday, NAN said they're aware of the police's internal investigation. "I just think that the strike was a bit excessive," Fox said. Ontario's Independent Police Review Director, which is already probing the Thunder Bay police force over allegations of systemic racism in the way it conducts investigations into the deaths and disappearances of Indigenous people, told CBC News that it's aware of reports of an incident in Thunder Bay but, as of late Monday morning, had not received a complaint about allegations of a Thunder Bay police officer striking a person. "The grand chief is demanding answers, NAN executive is demanding answers on what happened and why it happened," Fox said. "It's a 20 second video [but] what happens when there isn't a video going on, when things are not recorded, that's the big concern." 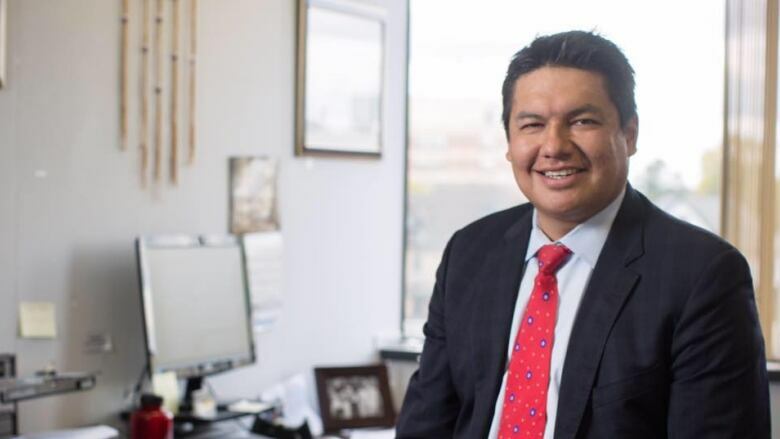 "The Thunder Bay police and the city of Thunder Bay have a ... history of, whether it's racial discrimination or indifference, or whatever you want to call it, there's been concerns regionally and nationally," he continued. "Obviously we'd like to see that relationship get better between the city of Thunder Bay and First Nations citizens." The video also caught the attention of Irwin Elman, the Ontario Child and Youth Advocate. "I have seen the video that has been circulated on social media and what I have seen is deeply upsetting," Elman was quoted as saying in an emailed statement to CBC News. "While we do not know all the details surrounding the incident, it is difficult to fathom any circumstance a young person should be treated that way, let alone while being restrained." Elman's office, which is headquartered in Toronto, also has a branch in Thunder Bay. The advocate has done a lot of work in the city, including through the Feathers of Hope forums, which brings Indigenous youth together to talk about issues that are important to them, and to push for change.